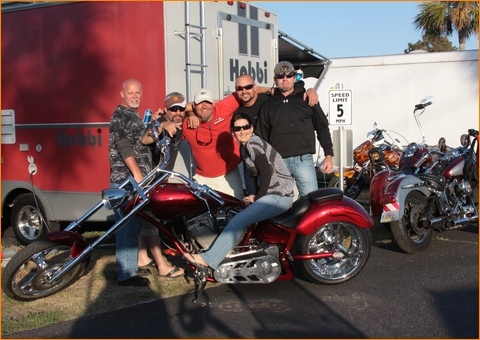 Conveniently located in the heart of the Thomas Dr. rally action, Campers Inn RV Park & Campground is just down Thomas Dr. from Ms. Newby’s which is the busiest biker party spot on the beach! Everything else is a short ride away RV’n It? BOOK YOUR NEXT RALLY AT CAMPERS INN! Due to it’s location and popularity during the rallies, Campers Inn is typically booked to full capacity well before each rally event. It is highly recommended to contact them well in advance of each rally to secure your spot. They do keep a waiting list so it is also highly recommended to get on the list as well. Campers Inn Inc. is your favorite RV and Camping destination in Panama City Beach! We are Biker Friendly all year long, Ride on down to stay with us anytime, you are always welcome!! !